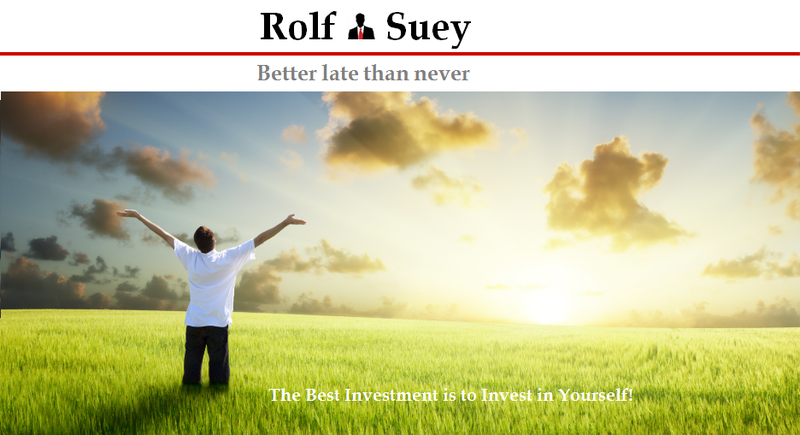 Rolf Suey - Better Late Than Never: Is a well-planned retirement definitely a meaningful one when the "big" day arrived? Is a well-planned retirement definitely a meaningful one when the "big" day arrived? This post is referring to a news article from Straits Times titled “A well-planned retirement can be meaningful and enjoyable!" Refer here. Indeed a retirement if well planned out, can be a meaningful and enjoyable one, and I am in agreement to it. However as I delved deeper into the article, I realized that the writer’s article, in my humble opinion only half right. The writer said "... on the contrary, retirement is the best time to engage in enjoyable, meaningful and fulfilling pursuits that are not possible when we are busy with our careers and more pressing priorities." Why wait until that day. Why NOT do it now? Should we really need to wait until the day of retirement, then we start engaging in our enjoyable, meaningful and fulfilling pursuits? How about doing “that thing you love NOW” instead of waiting until the day you retire. This is one thing perhaps we should never procrastinate! Honestly, it is not as if I am asking you to do "that thingy you do during retirement” immediately for many hours a day. Instead, we can begin with doing “it” ½ hour a day, then 1 hour, then 2 hours and gradually increasing it over time. So easy meh? We are so busy in Singapore! Ok, common answer! Yes, we are remarkably busy people in Singapore. Work, family, kids, expenses… where got time to do anything we like, even for ½ to 1 hour a day? Or whine that you are born poor or not as lucky compare to the rest who are earning more and yet have more time? Really unlucky? Really impossible to find time? How about take a good look into the mirror or review your life over the past years? With great humility, perhaps I am a living example of not born rich, extremely busy in work over the years often traveling, and having a big family and huge expenses. If that is not all, I am in O&G sector where retrenchment is widespread now and almost everyone is unhappy and stressful. Despite all that, I still manage to find time to as frequent as possible, to do the things I like. Furthermore to also spend time with friends and relatives as and when possible, while not neglecting the family. The answer is simply : Good management! Finding what you love to do? Most people who strive for financial freedom will proclaim "if only I have x amount of money in y years, then I can do this or do that?" Honestly if you have not tried doing "that thing you love" NOW and subsequently doing it regularly for a prolong period of time, how confident are you to say that it is definitely the right thing you want to do for the rest of your life when you retire! If you have not find what you love doing now, it is ok. Just keep searching, and do not procrastinate! Oftentimes and unknowingly, you may somehow already been doing what you love for a long time now. Just have to identify it! Immediate transition during the day of retirement... Really? Remember it is difficult for us to work work work, save save save or invest invest invest or even worst, stinge stinge stinge for 10/20/30/40 years, then on the day we are finally financially free, we say yes "today is the day I can finally do that meaningful thing that I had been pursuing for all my life!" Maybe when the big day comes, the feeling is just not what you think that is so special? It is just like in many movies, your beloved Princess or Prince Charming that you been dreaming and working so hard pursuing all day and night, one day become a reality and be with you. Counter-intuitively, once you are together, the feeling may not be that “special” anymore. Instead the average girl next-door who always been by your side for years, you may later realize is the one you truly love! Passion or Interest, just like love or relationship has to be cultivated. You cannot just fall in love in doing something overnight. Things change over time... do not be so sure! People change over time. Likewise our interest /love can change over time too! Imagine the day when you retire, what you plan 10 to 30 years ago may no longer be the things you truly love anymore. The sudden transition from "not doing something" to suddenly "doing something" and expect it to turn out perfect often has outcome that is otherwise. My due respect and congrats to those who already started planning for your retirement early (me included)! Like what the Straits Times writer mentioned, I am sure it can be meaningful when our big retirement day arrives. - start thinking seriously what we really want to do when we retire, NOW! - and if you do not know yet, please expose yourself more to people or things around you and constantly search for it! - if you already know what you want to do, then please start spending time NOW doing it. - It can be just few hours a week. The essence is to do what you love doing and to sustain it for a long time until the day you retire, and can fully accelerate that process. Otherwise for all the effort and painstaking time you plan for the “big retirement day” to arrive, who knows….maybe that big day will never come? Furthermore, this generation of Singaporean does have an edge over the past generation to have a more meaningful retirement. This is because Singapore has emerged from a developing to a developed country and without question, we are better off today than in the past, at least from a financial point of view. If you cannot turn back the clock, it is ok. Just relate this message to the next generation or people you care deeply about around you. Actually, thanks to LP's recent post on ticking boxes and procrastination, it crystallised my appreciation of why some prefer tick boxes, do excessive planning, live in the future, etc. It makes me more humbled and grateful for what I have NOW. And how LUCKY things have turned out for me. For a start I thought "Tao" means "stuck up", until I realise it is Tao = Taoism related. Now is not just oily but dirt cheap and smelly and dirty. People in the industry is suffering one of the worst crisis ever. LP's post is inferred from a Ted talk which I watched too! What you have today is what you have done in the past. Saying "Lucky" is a good excuse for people with higher EQ as saying "I am humble!" haha. Being grateful and appreciative of present in contrast to what many believe as retarding progress, is in fact the exact opposite allowing individual to be humble and keep on learning and progress in a steady and sustainable manner. We should be living with both wings. Living now and planning for sustainable living in the future so we will have the resources to enable it. Financial planning is NOT to squeeze ourselves so hard e.g. packing last night leftover food as lunch and heard one real story of splitting morning breakfast bee hoon for breakfast and lunch. Saving in the extreme. I think we'll make a good doubles pair in racquet sports. I always like balance and prefer to be able to play with left and also right hand. Of course train one hand at a time. So very frankly, I prefer to be a cross between ant and grasshopper. Squeezing ourselves hard and saving in extreme maybe good for those who just started out with tight budget particularly entrepreneur wannabe. It help to hone their AQ. They can be good to themselves after they have made improvement to their situation! Agree :-) As long as the person squeezing himself know that this is only temporary and he will pull through this difficult period. Doing what u like is freedom, liking what u do is happiness. Money give u freedom, not happiness. I've only started reading your articles for a few months... and I especially like this article of yours :) Another great article! Think uncle CW probably tick all the boxes on the things that we need to take care of or plan way before we reach retirement. Thanks for reading my articles. Hope it helps in the slightest manner for you. Living in the moment, that is NOW. Past is just fleet of thought. Future depend on NOW. I believe this is TAO of living. But saying is easy, doing is difficult. Yes, but I still believe in planning also. Enjoy the past, live now and plan for the future! Life itself is difficult, so we should not make it more difficult. But while doing now is difficult, it is to make life easier tomorrow. If you think of the fruits, then maybe it can be slightly more easier to do NOW. The challenge I think lies more in the uncertainty that people are fearful of (whatever the media paints to us each day and how much we believe it) which puts a halt to what they want to do in life. The "doing" part of retirement is somehow carry forward to some future time while the present moment is spent accumulating, worrying, planning and the more uncertain the future looks to a person, the faster, harder he works. It's like a mouse trap in a wheel running round and round all day long. So where got time as the local would say in their colloquial English, haha. Being close to Nature, talking to my plants and watching them grow is therapeutic and help me to destress. Away from the concrete jungle and office politicking of yesteryears, I wonder why it took me years to realise the simplicity of life. Just keep it simple. Nice article ,keep up the great work!! Thanks for dropping by and the extremely well written comment. I am sincerely happy for you that u r able to find your passion associated with nature to give u a great sense of inner peace. "We must all believe that this world we live, created by God is full of abundance and we are here on Earth to enjoy lives, to prosper and to pass on the knowledge to others.......(my humble opinion)"
I am totally agreeing to the above statement. Keep life simple, and instead we have abundance. Then we need to pass on whatever good knowledge/deeds, so that people or the community around us can benefit from it. 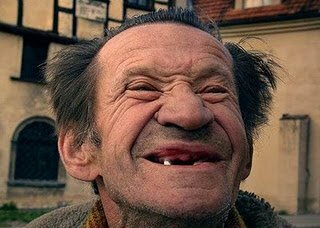 So, Happiness is not so tough after all, unless we humans complicate it ourself. Been a long time since my last comment. Still have that fire in you after reading your post. Haha. How r u? Hope all is good. People who know me always say I am full of energy. Hopefully I can keep up with that till old age. Yeah, kind of miss your fiery self as well. Keep up the mood and momentum. And while it makes me feel good for that moment when awake naturally instead of alarm, but even if I am unable to do that, what really keep my energy level going is what I will do after I wake up. This is something I placed even more emphasis on. Like u said, the key is seeking happiness NOW and not just deferring to that so called day! Whether we r truly happy or not, sometimes, we human beings like to be claimed we r very happy as we can almost see everyone is so happy on Facebook! - call it self-esteem, ego, call it self denial or even unawareness. So stop for a second and maybe close people around us can tell us if we are really happy NOW? Time freedom is something that most and if not all employees can't afford it. Some self-employed may afford it at higher level. E.g. Uber car driver vs. SBS Bus driver. Yes, but many people I know who stop work for 1-2 yrs to take a break have lots of time but they just "nuah" and never do anything constructive. some even cause lots of trouble for their close ones with the extra time. Time freedom is important for people who knows exactly or eventually what they want to do! Well... I will tell u my experience one day if I have all the freedom in time.